An Architectural Career for Architectural artist, Architects,accounts clerk who desire to pursue their dreams as in this rapidly growing profession. This is a profession that builds nations, cities, and dwelling for comfort and the place for our children in the future. We decide their dwelling conditions. In the wake for the need for weather change, we taken the lead in Net Zero Energy Building and Net Zero Emission buildings design. We have the knowledge and dre3am to pursue it, join our inspiring team.We have organized Seminars onNet Zero Energy Building and Net Zero Emission buildings design. to educate the public in Green Architect. An Architectural Career for Architectural artist, Architects,accounts clerk is widening all over the world such as Hong Kong, Middle East, South Africa and Asian nations. Nations such as Burma, Cambodia and Indonesia are a market for Architects and the world awaits for your contribution to building these nation building. The world can be a better place if founded well in An Architectural Career for Architectural artist, Architects,accounts clerk. Join us to help the world be a better place. We organize Seminar on the Net Zero Energy and Carbon Emission, all are welcome to join in, As Leading architects, we believe we can lead the world in this area an be responsibility to the environment that we live in.There are changes in the the unprecedented weather such unabated fires, unabated flooding, increase of snow falls, higher temperatures and freezing weather .Homes, towns and villages have been displaced and lost. As Green Architects we are responsible for the design and of our environment and we have a great role to play and give society. We are anxiously looking for exceptional talented people to join our innovative team. Many opportunities and wide range of experiences beholds staff with a wide range of opportunities, in both design and managing the works in the regions. Our design team consists of a wide range of top designers from a range of disciplines. We are an open to discussion and a dynamic team and we welcome the very best to join us and more so to be a star quality staff. 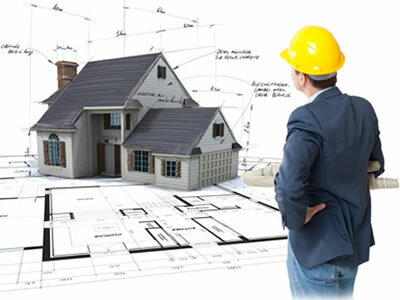 After discussing and agreeing on the initial proposal with clients, architects develop final construction plans that show the building's appearance and details for its construction. Accompanying these plans are drawings of the structural system; air-conditioning, heating, and ventilating systems; electrical systems; communications systems; plumbing; and, possibly, site and landscape plans. In developing designs, architects must follow state and local building codes, zoning laws, fire regulations, and other ordinances, such as those requiring easy building access for people who are disabled. The primary duties of the Receptionist will be primarily front desk reception duties, answering and directing telephone calls, delivering messages, greeting employees and visitors, scheduling conference rooms and distributing incoming faxes & mail and providing support for other administrative staff. This integral support position will be involved in several aspects of administrative support to the office. The candidate must be an excellent communicator, friendly, engaging, possess good judgment, including common sense, be able to think on their feet, be able to prioritize multiple tasks and meet deadlines. The candidate will be a member of an administrative team that supports several managers. Looking for a chance to make your mark in a fast-paced, professional and fun environment? Our Accounting Clerks perform accounting and clerical tasks related to the efficient maintenance and processing of accounts payable transactions as well as performing other related general accounting functions when required to reach Skyline’s shared goal of increasing efficiency and profitable operation.